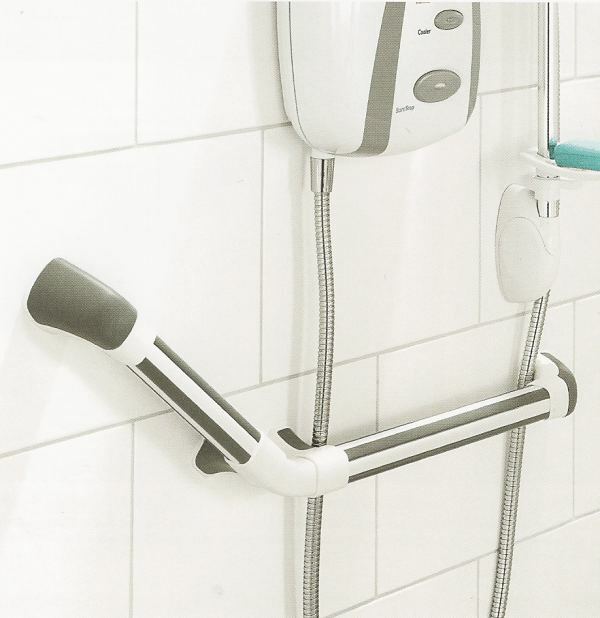 NEW Maxi Grip and Maxi Grip Plus hand rail systems developed in conjunction with the RNIB. 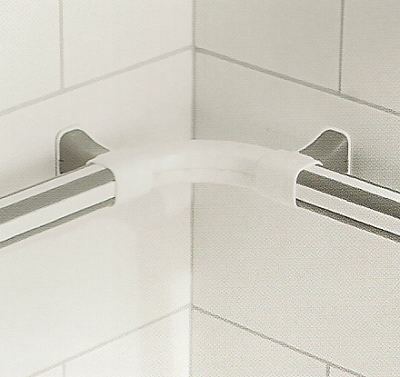 The newest concept in hand rails highly suitable for the bathroom, shower room and wet areas. The square profile of the Maxi Grip rail improves slip resistance making them an excellent choice for wet areas. The Maxi Grip Plus takes the principle to yet another level by incorporating a 'soft to the touch' polymer insert along the corners of the square profile. The insert enhances tactile feedback and improves visibility with it's contrasting colour. Able to support loads of up to 120kg* the Maxi Grip grab rail offers a secure point of purchase aiding safety and promoting confidence. The Maxi Grip range includes a patented adjustable angle system allowing the rail to be cranked at 90o, 60o, 45o or 30o. To order your Maxi Grip hand rail firstly choose which type you desire - Maxi Grip or Maxi Grip Plus. 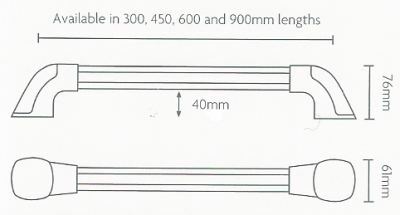 If you simply need a straight rail please order using the codes above. Each rails is supplied with ends for wall fixing. 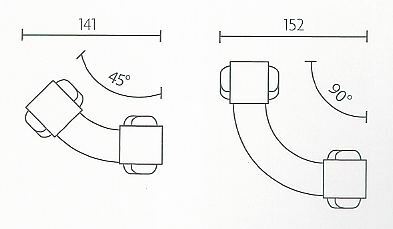 If you need a cranked rail choose the adjustable angle connector from the table right, then select each length of rail you wish to connect into it from the table above.